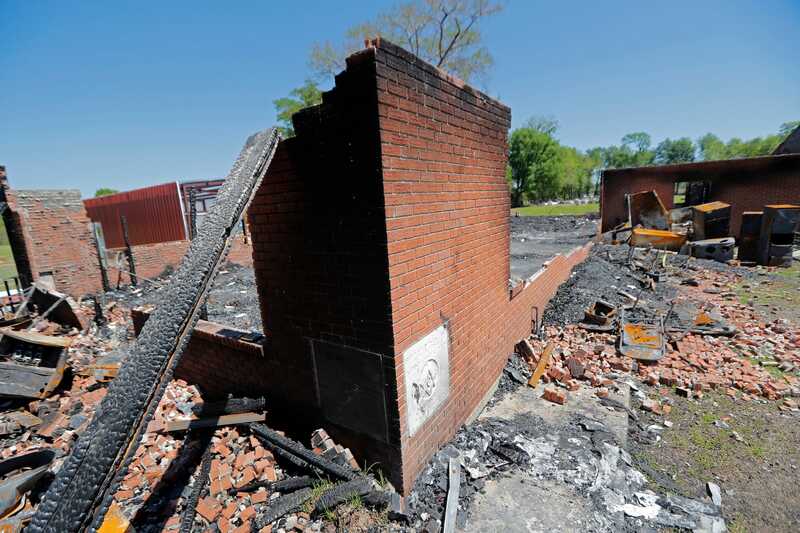 The son of a local sheriff’s deputy was arrested Wednesday evening in connection to a series of fires that destroyed three historically black churches in Louisiana. Though Matthews’ father wasn’t the one to turn him in, Sheriff Bobby Guidroz told reporters that his father assisted in the arrest by getting his son away from their home so authorities could arrest him without incident. 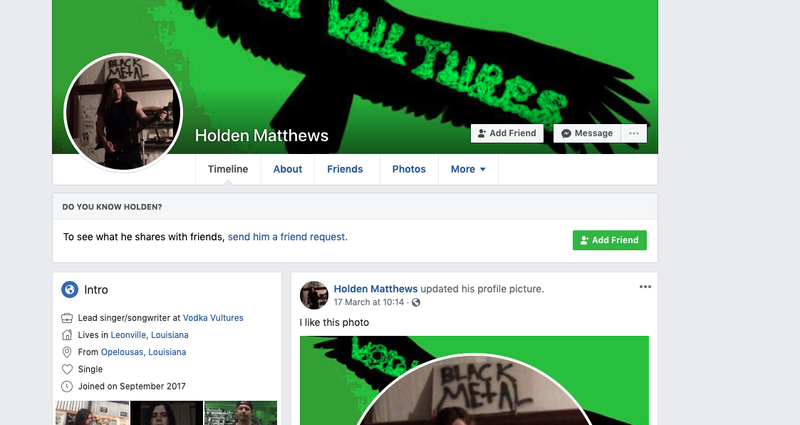 Investigators said they’re still determining a motive for the fires, but are probing Matthews’ connection with the “black metal” music genre. 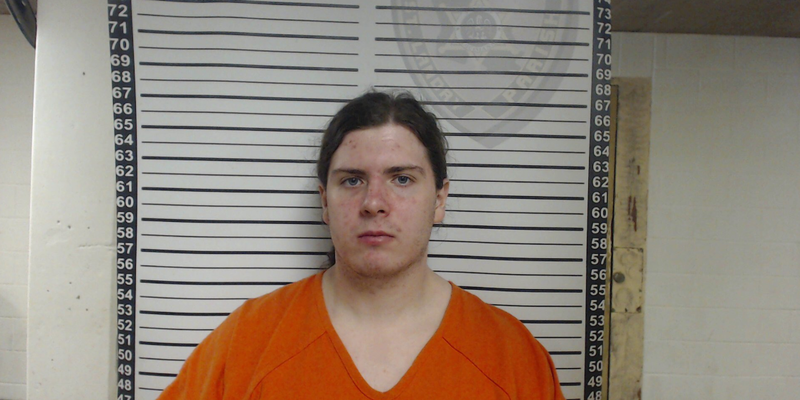 Holden Matthews, 21, was arrested Wednesday evening and charged with three counts of simple arson of a religious building, investigators announced in a Thursday press conference. In recent weeks, hundreds of local, state, and federal investigators had descended on Louisiana’s St. Landry Parish to work on the case. Sheriff Bobby Guidroz told reporters that Matthews was caught due to the “basic, old-fashioned detective work” of his team, but that Matthews’ father, Roy Matthews, assisted by drawing his son away from their home so authorities could arrest him without incident. Guidroz said Roy Matthews was “in terrible shape” after learning of his son’s alleged involvement. “Holden’s father is an employee of mine. A fine man. He was shocked and hurt, as any father would be,” Guidroz said. “This case was solved with boots on the ground and butts in the air,” he said. “This was an attack on the house of God,” Browning said. The president of the NAACP, Derrick Johnson, said in a statement that the fires reflected “emboldened racial rhetoric and tension” spreading throughout the US. “What is happening in Tennessee and Louisiana is domestic terrorism and we must not turn a blind eye to any incident where people are targeted because of the color of their skin or their faith,” Johnson said. Video of a police officer taunting a woman’s 13-year-old daughter went viral, and she says she doesn’t want him to lose his job. She wants him to learn a valuable lesson.